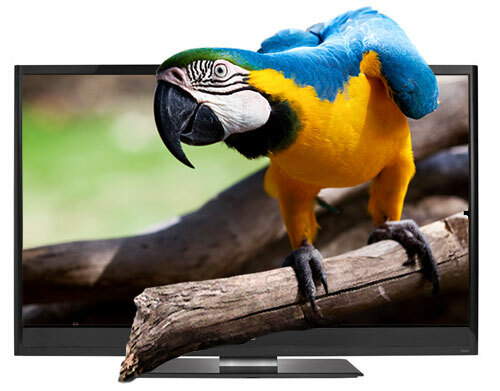 When it comes to HDTV display technologies, what once was a three horse competition has currently narrowed to two, LCD vs. Plasma. If your only concern is to buy a TV that will display a great looking HD image, the best models in both categories deliver the goods. Which is better, Plasma or LCD? Well, if you ask the proponents of one or the other, they will wax eloquent and occasionally belligerently about the superior qualities of their favorite. Many of the advantages that one display had over the other has narrowed in the past couple of years. For example, Plasmas historically had a better Contrast Ratio than LCDs. Contrast Ratio is simply a measurement that indicates a TV's ability to display the range of darks to lights. The theory is that the higher the Contrast Ratio, the deeper the blacks, the whiter the whites, the better the picture quality. Early on, Plasmas were kings with Dynamic Contrast Ratios near 10,000:1. Now, you can find both top of the line Plasmas and LCDs spiraling up over 10,000,000:1. Yes, ten million. When we reach this range, only Superman could see the difference. And I don't want to confuse you with numbers. My point is that a lot of the old advantages of LCDs or Plasmas are fading away. And I don't think you can judge by numbers which TV you want to buy anyway. Often your choice boils down to a much more subjective factor. For example, Plasma screens have a reputation for being more reflective than LCDs. This can cause some folks great anxiety especially if they see their table lamp reflecting in their brand new HDTV. Also it can be a problem during the daytime if your TV is in a room with a lot of windows. Personally, I don't notice reflections, especially when the TV is turned on. Also, if they did bother me, I would turn off the light and close the curtains. But like most competitive disadvantages, manufacturers are addressing the situation and producing less reflective coatings for Plasmas. The arguments can become quite arcane with different camps pointing to Color Gamut charts or Refresh Rates to show that their display is king of the hill. If you ask me, I lean towards Plasmas because I think I can perceive a better picture because of deeper blacks. But I have seen plenty of good looking LCDs that I would be proud to own. Actually, from what I have read and heard, if you polled TV reviewers, I believe that a majority would opt for a high quality Plasma TV over an LCD. Then again, the public is voting with their pocketbook and sales figures in the U.S. show that LCDs are now outselling Plasmas by a wide margin. 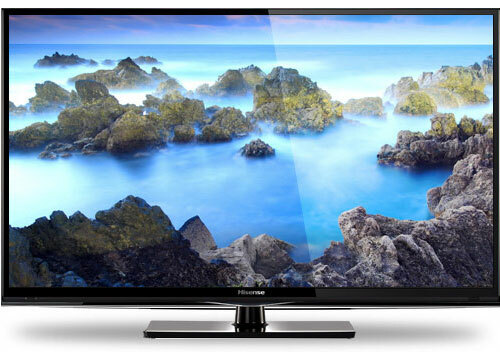 A major reason for LCD TV's preeminence is a shift that manufacturers have made in the display's backlight. In the past, LCD TVs typically employed CCFL (cold cathode fluorescent lamps) as backlights. No more. The CCFLs have been replaced with LEDs (light emitting diodes) in almost all the 2013 models from major manufacturers. 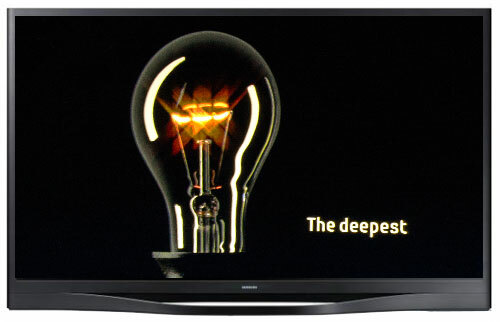 Dubbed LED TVs, the term is a bit misleading because all LED TVs are really at their core LCDs. Therefore, perhaps more correctly, LED TVs should be called LCD TVs with LED backlights. Before we go any further, let's clear up one more distinction. In the TV display world, LEDs (light emitting diodes) and OLEDs (organic LEDs) are two distinct animals. We'll talk about OLEDs in a minute. LEDs are the powerful little light sources that have been used for years in those large digital signs like the type that have become popular in NBA arenas and football stadiums. Not to confuse you, but there is another distinction to make with LED TVs, edge-lit vs. direct-lit. TV designers are placing the LEDs in two different locations. One method is to position the LEDs around the outer edge of the LCD screen, often called edge-lit. The second method places an array of LEDs behind the LCD panel, often termed direct-lit or full array. As a general rule, I prefer the direct-lit LED models because they have a tendency to disperse the light more evenly over the expanse of the screen. If you can visualize the two different lighting placements, you can imagine that LEDs along the edge of the screen will tend to be brighter along the outside and dimmer in the middle of the display. This often shows up as hot spots, particularly noticeable in the corners of the screen. Direct-lit TVs with the LEDs dispersed in a full array behind the LCD screen will naturally illuminate more evenly. Also many, not all, direct-lit LED TVs employ a technique called local dimming or smart dimming. Imagine hundreds of LEDs grouped into control zones. With local dimming, if you are watching a movie and part of the scene is in shadows, then the TV lowers the brightness of the backlights in that corresponding zone. If part of the image is in deep shadow or totally black, the dimming will reinforce the darkness. Basically, the TV can produce darker darks, which makes colors seem richer. Does it rival plasmas in this aspect? Yes, though I still believe plasmas have an edge. What I can say is, from what I have witnessed, LED backlit LCD TVs with local dimming produce better picture quality than their non-dimming LCD counterparts. To be clear, not all LED backlit LCDs feature local dimming. And of course, local dimming LED TVs are also more expensive - actually these models are often the costliest LCDs that a company makes. Is the bump up in picture quality worth it? That's a decision that you, your loved ones and your wallet will have to make. As edge lighting has become more refined, often employing its own form of local dimming, manufacturers are making fewer and fewer of the more expensive direct-lit LED models with local dimming. In fact, in 2013, it is becoming difficult to find a local dimming full array TV. But be forewarned, you will see a lot of "direct-lit" LED TVs in the marketplace. Actually, manufacturers are finding that placing the LEDs behind the display can be less expensive, if they do not include local dimming abilities, than edge-lit displays. 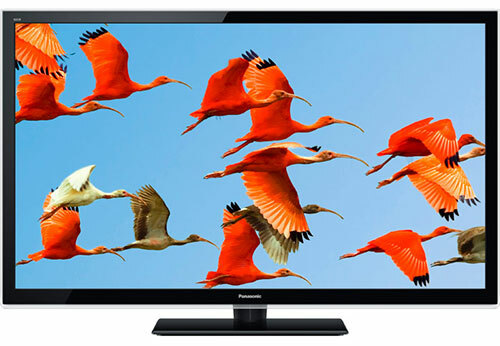 Therefore, you will see companies taking advantage of this cost savings to produce a value series of direct-lit LED TVs. For example, Sony's new KDL-40R450 is direct-lit and is the least expensive 40-inch TV in their 2013 lineup. I've reviewed the Sony KDL-40R450 and its picture quality compares favorably to other edge-lit LED TVs, (without dimming capabilities) that I have seen. Edge-lighting allows manufacturers to make their TVs a little thinner than direct-lit or Plasmas. Though often, the difference is not much more than a half an inch. And seriously, you don't watch your TV from the side. It's what's upfront that counts. More importantly, LEDs backlights use less energy than CCFLs or Plasmas. Manufacturers are now required to display those yellow ENERGY STAR tags that you find on air conditioners and refrigerators. 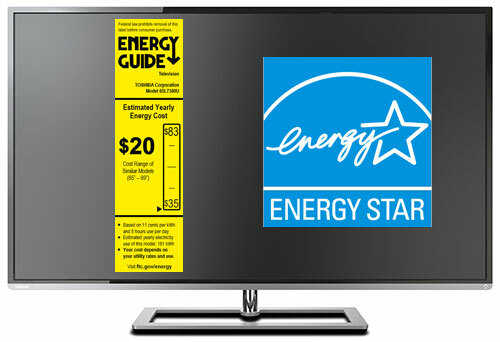 You can also view the updated list of all the ENERGY STAR TVs online here. Each year, ENERGY STAR standards seem to get tougher. For example, the current Maximium on Mode Power for Qualification for a 60-inch TV is a paltry 108W or only a bit more electricity than a 100W light bulb uses. I'm a big proponent of energy efficient TVs and LED TVs are definitely leading the pack. OLED TVs have tickled videophiles' fancies for almost seven years now because of their promise of super thin screens displaying super-duper images. But producing a large size OLED TV that is not super pricey has proven super hard. The only OLED model that has ever been commercially available in the U.S. was the Sony XEL-1 and it measured just 11" diagonally, costs $2500 and it was not HD. Not surprisingly, Sony discontinued production of the XEL-1. But other companies like LG and Samsung have taken up the cause, teasing the public and journalists with OLED prototypes shown at the last few CES conventions. Though each year, the hope turns to heartbreak as launch dates are pushed back. The optimistic true believers keep thinking, this is the year. 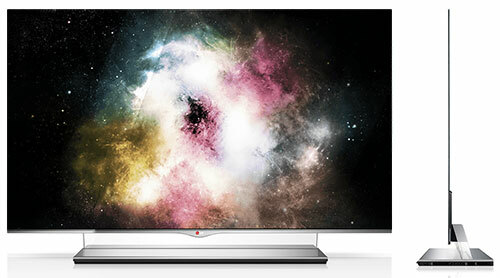 But fool me once... With that caveat, 2013 may truly be the year that we actually see a large screen OLED TV available. In fact, in their home of South Korea, LG began taking preorders for their 55-inch 55EM9700 OLED TV in February, and they have reported selling about 200 units to date. The TV's price in Korea is KRW 11 million or about $10,000. LG announced expanded availability (with pricing) soon. Alas, at the time of this update, we have not seen the model delivered outside of Korea. We will happily cover the release when it occurs. Even if LG and Samsung do roll out OLEDs widely this year, the technology will exert very little influence on the HDTV marketplace for at least another year or two, especially at these premium prices.